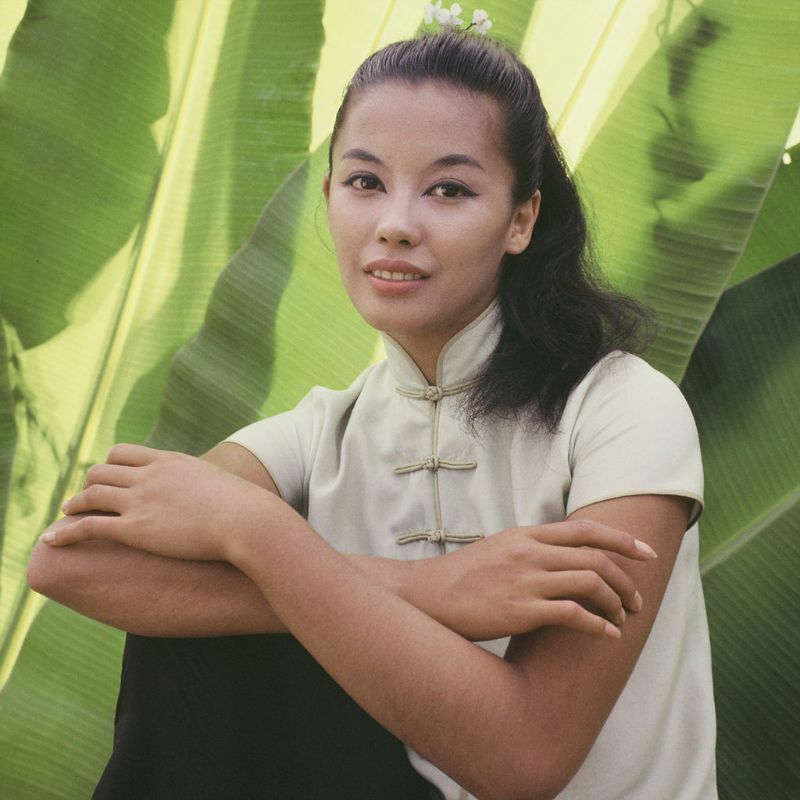 Born 1939 in Marseille, France as France Nguyen Vannga, Vietnamese-French actress and model France Nuyen was discovered on the beach by Life photographer Philippe Halsman while working as a seamstress in 1955. She was featured on the cover of 6 October 1958 issue of Life. Nuyen became a motion picture actress in 1958. She appeared in a third-season episode of Star Trek, playing the title character Elaan of Troyius (1968); and in an episode of Kung Fu (1974). Her other films including The Last Time I Saw Archie (1961) Satan Never Sleeps (1962), A Girl Named Tamiko (1962), Diamond Head (1963), Dimension 5 (1966), Battle for the Planet of the Apes (1973) and The Joy Luck Club (1993). In 1986, Nuyen earned a master’s degree in clinical psychology and began a second career as a counselor for abused women and children, and women in prison. She received a Woman of the Year award in 1989 for her psychology work. These beautiful Kodachromes were found by Poav Sek that show portrait photos of young France Nuyen taken on the set of South Pacific by American photographer Don Ornitz around 1957 and 1958.